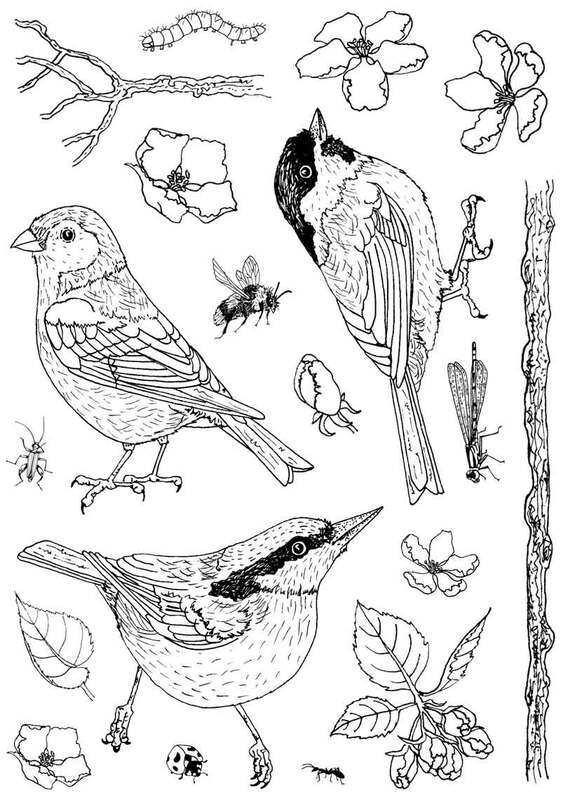 Birds Bugs and Blossoms Hobby Art Stamp Set (CS205D) - Stampers Grove is a webshop and mobile craft shop. CS205D Janie's Collection Birds, Bugs & Blossoms A5 stamp set from Hobby Art Stamps. This gorgeous clear set contains 19 designs. Designed by Janie Burnett Bleach. Realistic Bird set contains 3 bird designs, 6 bug/insect designs, includes branches, flowers and foliage to build up various scenes using the elements.